Discover Struben Plantation Chocolate Collection | Fine Venezuela Struben Connoisseur Fine Chocolates | Premium, complex and luxury. Every Struben Plantation has its own unique and outstanding personality. Venezuela is famous for its widely varied landscapes and climates, as well as for its cocoa and actually produces a number of different cocoas, all of which differ significantly according to their terroir of origin. Fine Venezuela is the result of strong determination to rehabilitate and combine cocoa beans from old Criollo and Trinitario varieties grown on a selected number of different estates in a production zone of high repute in the northwest of Venezuela. 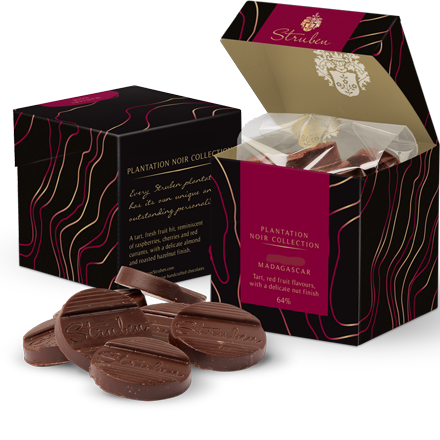 It took Struben’s sourcers nearly two years to find and identify the dozens of powerfully flavoured cocoas that make up this rich and complex connoisseur chocolate. Fine Venezuela owes its distinct characteristics to the contrast between the soils of the Andean foothills and those of the sea air swept Caribbean coast. In 1983, our partner started to explore the Indian Ocean, on its quest to find new flavours. On the banks of the river Sambirano, sourcers discovered some Trinitario varieties that had an original, powerful aroma, in collaboration with the Millot plantation, therefore started developing the new fermentation and drying processes that would succeed in producing this distinctive, recognisable, consistent flavour. The result, Fruity Madagascar, was launched. 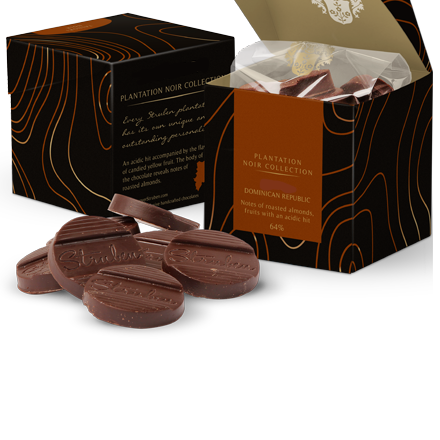 The partnership is still going strong and Struben now holds the exclusive rights to some of the best cocoas produced on the plantation. When Columbus landed on the Hispaniola Island on December 5th, 1492, Christopher Columbus was trying to find a quicker route to India. He almost certainly had no idea that he was about to discover a land that would abound with cocoa trees some 500 years later and would even become the leading cocoa producer in the Caribbean. Which is how it came about that, today, Struben selects Trinitario cocoa beans from the Dominican Republic, grown on selected plantations that were planted a very long time ago on this, the island which boasts the highest mountains of all the Antilles islands, where the subtropical climate and violent hurricanes have turned the land into a patchwork of different terroirs. 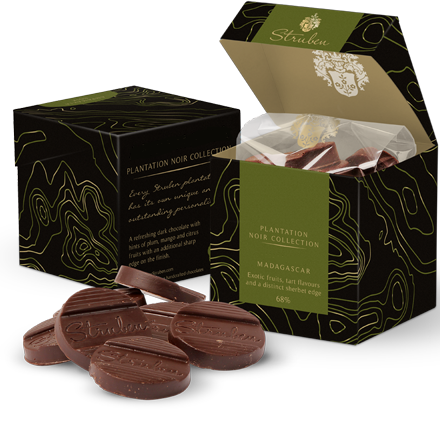 Struben’s direct partners first spent a long time working with the selected cocoa growers on developing a suitable fermentation and drying protocol, which eventually gave rise to Struben’s Ancient dark chocolate very specific characteristics.